The Affordable Care Act, aka Obama Care became law a few years ago. While some of the provisions of the law have already taken effect, the big stuff does not take effect until 2014. This monumental piece of legislation will take a full eight years to roll out completely and will ultimately provide health insurance coverage to the overwhelming majority of Americans. Find out now: How do I buy life insurance? The Affordable Care Act lives at the confluence of a new law and insurance. The act of combining the two is a bit like when two rivers merge, there is a muddy turbulent stretch of water. In the wake of the passing of the Affordable Care Act the amount misinformation that was enough to shake the confidence of even the most politically savvy. The basics of the law are that over time most Americans will be required to have health insurance coverage. That is not only the basis of the law but it is also the most misunderstood. The first misconception is that people will have to give up their existing health insurance in favor of Obama Care. That is not the case. The new law is not about making everyone take the same coverage; it’s about making sure everyone can afford coverage, especially those who do not currently have any. Health insurance for most Americans is provided by their employer. If they leave their current job they will likely lose coverage. Acquiring new insurance is not usually a big deal, unless you, or a family, has pre-existing condition. In which case things begin to get complicated. A pre-existing condition is any condition or illness that you or a member of your family has before applying for insurance. Before the Affordable Care Act if you had to switch insurance for any reason your new insurance carrier was able to say “we’re not covering xyz ailment because you had it already.” Under Obama Care insurance companies must cover pre-existing conditions. This change will help to save the lives of countless Americans, and keep millions more out of debt. Two terms that apply here are Benefit Package and Catastrophic Coverage. Benefit Package is what is covered by your health insurance such as doctor visits, hospitals, prescriptions and more. When people talk about growing or shrinking benefit packages they are talking about what’s covered and what’s not. Catastrophic coverage is about medical catastrophes and not the flu, even though having the flu can feel a lot like the end of the world. A medical catastrophe is an illness or condition for which the cost of care is greater than the total amount of insurance you have. In simple terms an illness that costs more to cure than your insurance is willing to pay and drives you into bankruptcy. When a medical catastrophe struck before Obama Care insurance companies were able to stop paying after a certain amount was spent by the insurance company. The Affordable Care Act eliminates Lifetime Limits and requires insurance companies to cover all the medical costs incurred by policy holders. No discussion of health care is complete without mentioning cost. 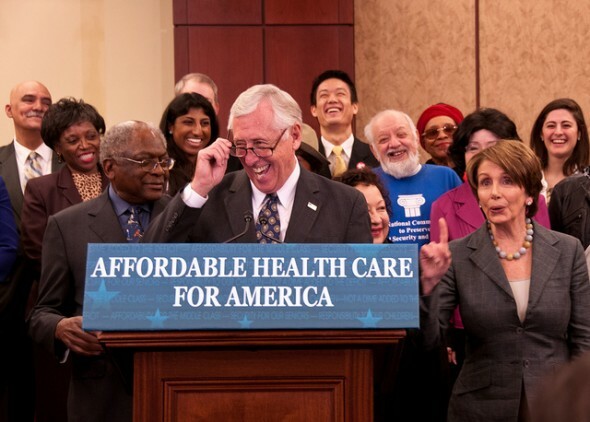 The chief goals of the Affordable Care Act are to make health care accessible and affordable. Health insurance premiums (the amount you pay, weekly, monthly or annually for insurance) is often too much for many families to afford. As a result they go without and use expensive emergency room services leaving the hospital to pick up the bill. Obama Care uses a device called Premium Subsidies to help those with jobs who can not afford health insurance. This is done through a subsidy that can cover costs for individuals earning between 133% and 400% of the Federal Poverty Level in income. The premium subsides enable families and individuals to purchase their own health insurance through exchanges. The act requires states to set-up Health Insurance Exchanges which makes it easier for individuals and businesses to shop for health insurance. The hope is that increased competition will help lower costs even further. Obama Care also recognizes the importance of preventative care services which are treatments, examinations, medications that help prevent illnesses from occurring in the first place. The Affordable Care Act requires that preventative care be included in all coverage because it is far less expensive to treat someone before they get sick than after.